About 6 weeks ago Rudolf Moers shared with us the details around his parallel push-pull 300B monoblock tube amplifiers. We noted that the design of the parallel push-pull 300B tube amplifiers is explained in his new book Fundamentele versterkertechniek met elektronenbuizen, ISBN 978-90-5381-226-6 which was at the time only available in Dutch. Good news! The English translation of Rudolf's new book is now available - Fundamental Amplifier Techniques with Electron Tubes. Fundamental Amplifier Techniques with Electron Tubes by Rudolf Moers is the latest Elektor publication on the subject of vacuum tubes. The 800+ page hard bound book covers just about every topic you need to know about the fundamentals of vacuum tubes and how to apply that information towards audio amplifier design. The aim of the Fundamental Amplifier Techniques with Electron Tubes book is to give the reader practical knowledge about vacuum tube technology and how to apply that knowledge in audio amplifiers. The practical applications include power supplies, audio design and DIY construction of tube based amplifiers. This new book is much more than just building a tube amplifier from a schematic, it walks you through the theory so you understand the design of circuits and the accompanying calculations. Then with a multimeter, signal generator and an oscilloscope, you can verify the actual circuit parameters to confirm the theory and practice are very close. The 834 page book Fundamental Amplifier Techniques with Electron Tubes, by Rudolf Moers is bound in a hard cover and sure to be a must-have reference source for all tube audio fans. 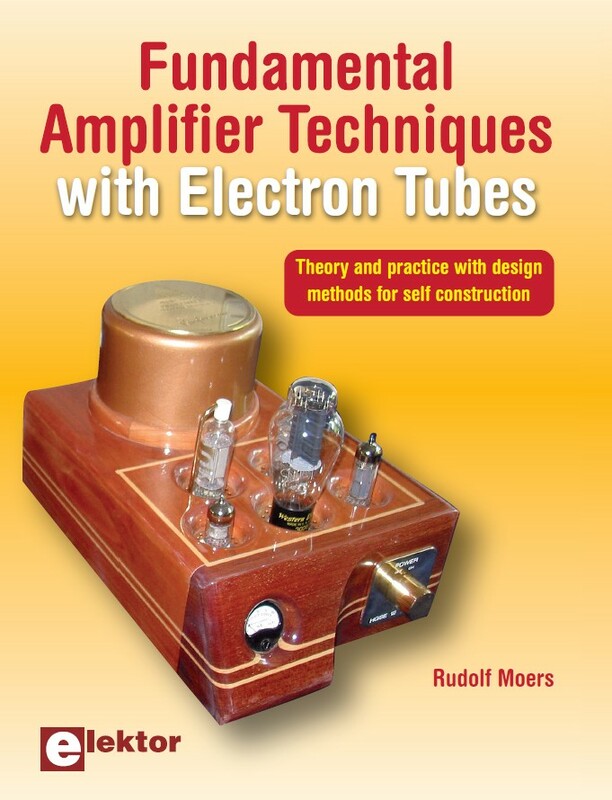 Fundamental Amplifier Techniques with Electron Tubes, by Rudolf Moers, ISBN 978-0-905705-93-4 is available for $104.90US (plus shipping) from Elektor. The table of contents is available from the publishers site and you can take a look at Rudolf's parallel push-pull 300B monoblock tube amplifiers to get a visual image of the book contents. UPDATE (2011-06-14) - see our book review of Fundamental Amplifier Techniques with Electron Tubes. Thanks for the update. Will order and email you a book report!